The number of non-surgical treatments has increased nearly 200% since 2000 according to the American Society of Plastic Surgeons. More and more people are opting for less-invasive cosmetic treatments that focus on their skin’s health, rather than masking their age. 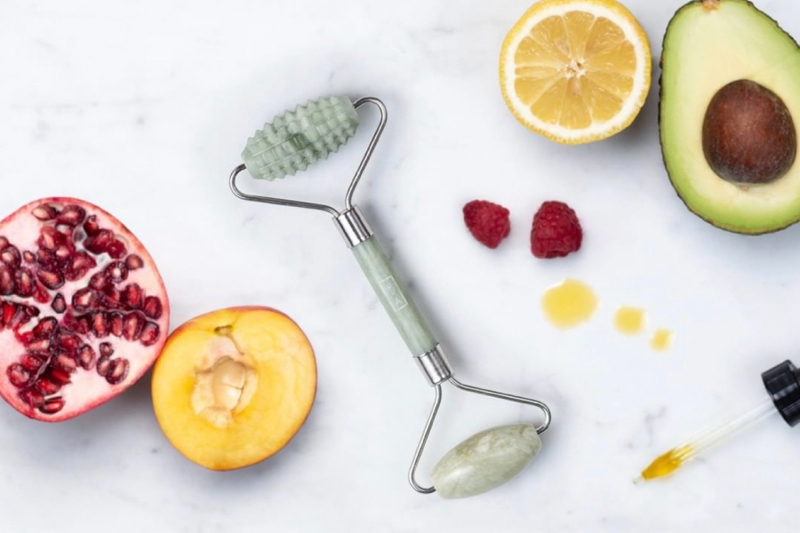 It’s not surprising then that at-home facial treatments are on the rise and trendy skincare tools, like jade facial rollers, are popping up all over social media. So what’s the deal? Should you use one? A jade roller is quite literally a piece of jade that you roll over your face, made up of rounded stone that’s been fastened onto a hand piece. Jade is revered for it’s ability to calm and balance nervous energy and has been used in China for centuries for these healing properties. Jade has a number of benefits because it’s naturally cooling on the skin. When rolled on the face, it can help reduce puffiness, under-eye bags, and redness. It can also encourage lymphatic flow and ease muscle tension. Some facial rollers, like the Province Apothecary Dual Action Jade Roller, are made with a studded end with added benefit. When rolled over the face the textured stone stimulates the dermis and increases circulation, which helps feed the skin with oxygen and nutrients. Massage a small amount of facial oil onto the skin and slowly roll the jade across your face, starting at the centre of your hairline. Work your way down one side of the face, always rolling from the centre out towards your ears. Once you’ve completed one side, again start at the top of your forehead and complete the other side. If your under eyes are particularly puffy, you can spend some time going over the area a few times, always working from your nose outwards. There are many claims that jade rollers are anti-aging miracle workers. Unfortunately, there’s no magic bullet when it comes to anti-aging, but jade rollers are wonderful self-care tools to keep on hand! You can use a jade roller daily, either morning or night. The cooling jade stone feels amazing on a puffy face first thing in the morning, or after a long day as a soothing treatment to ease muscle tension around the forehead and eyes. Give it a try and see how you like it! Shop and glow with our favourite jade roller and other skincare products!